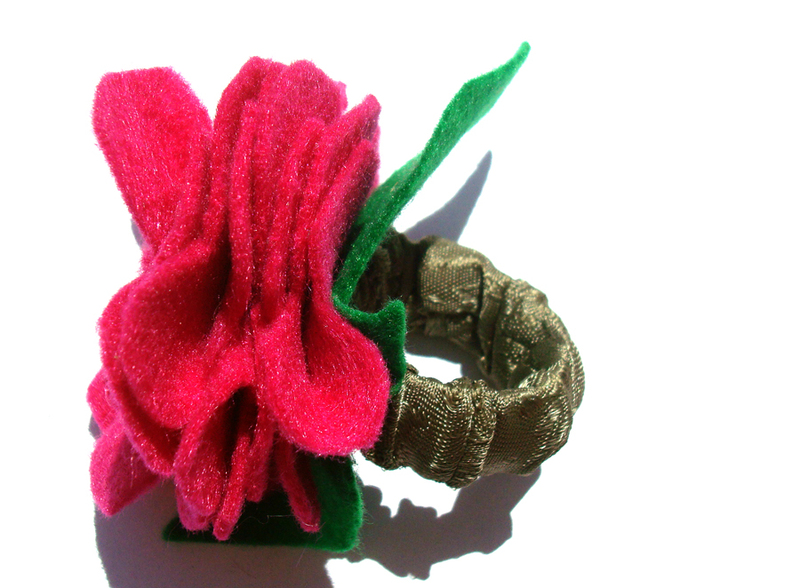 Well, here is another application for felt flowers. I can’t take all the credit for this one though, my mom and sisters came up with the idea as part of the decoration for my baby shower this Saturday. Even still, these were pretty simple to make. 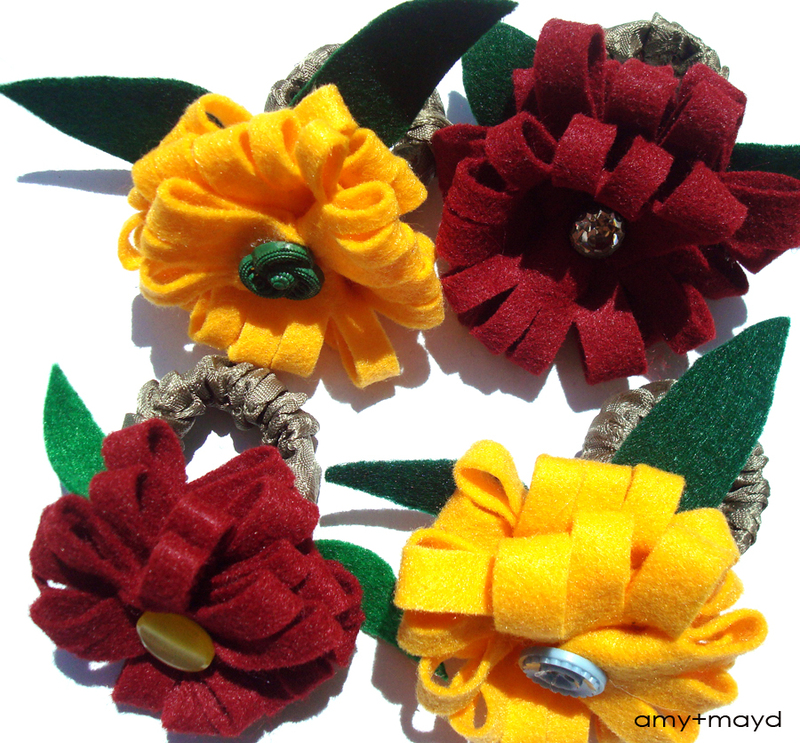 We made them in an assembly line fashion, I started making the flowers, my sister sewed on buttons and my mom did some cutting and sewing to attach the flowers to the napkin rings. The best part is we found the napkin rings at the dollar store! Eight for $1.00!! What a great inexpensive project. 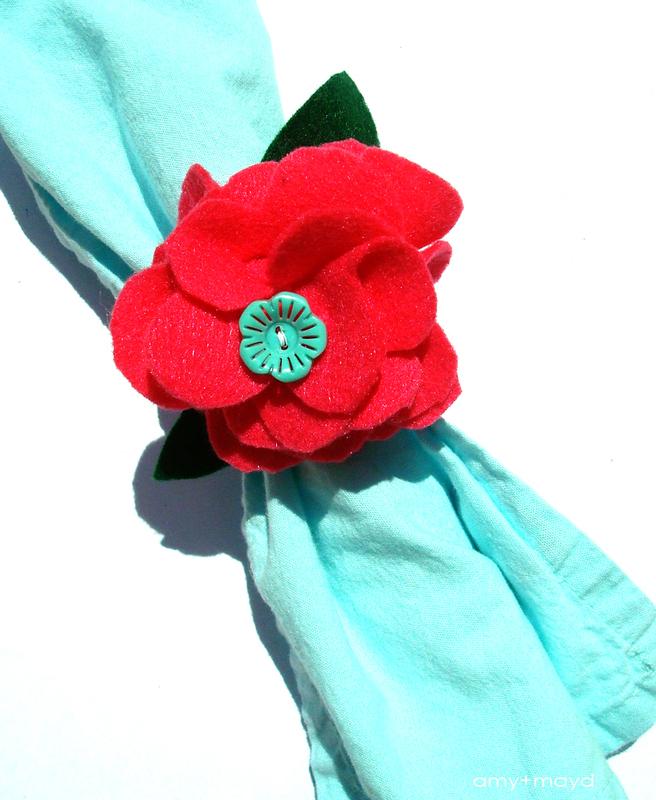 Give it a try you can look here for tons of felt flower tutorials. Hope your week is going great, mine has been busy busy busy! 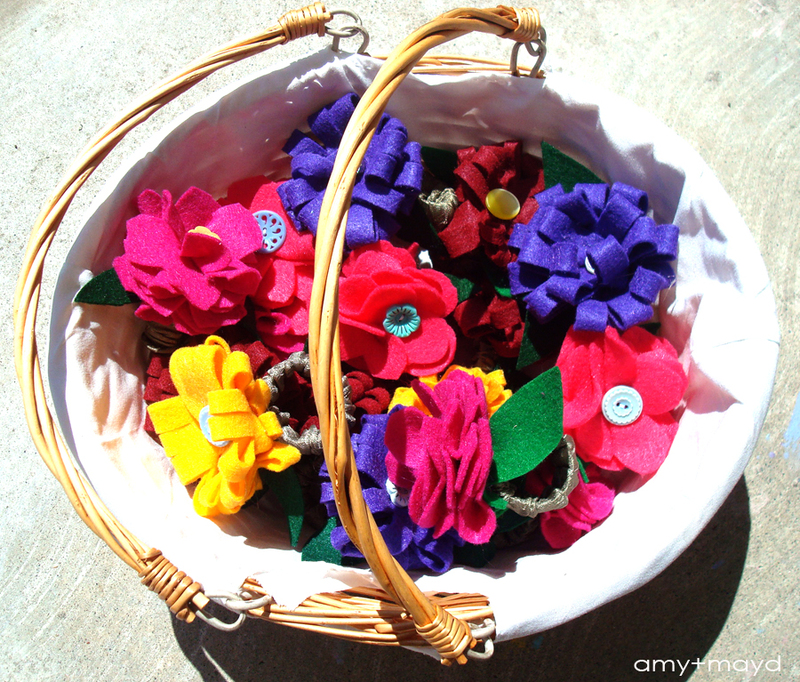 Have any other ideas for projects with felt flowers?